Rain is a sheltered teenager who lives with her caring grandmother on Ragged Island, a fishing island with a population under 100. 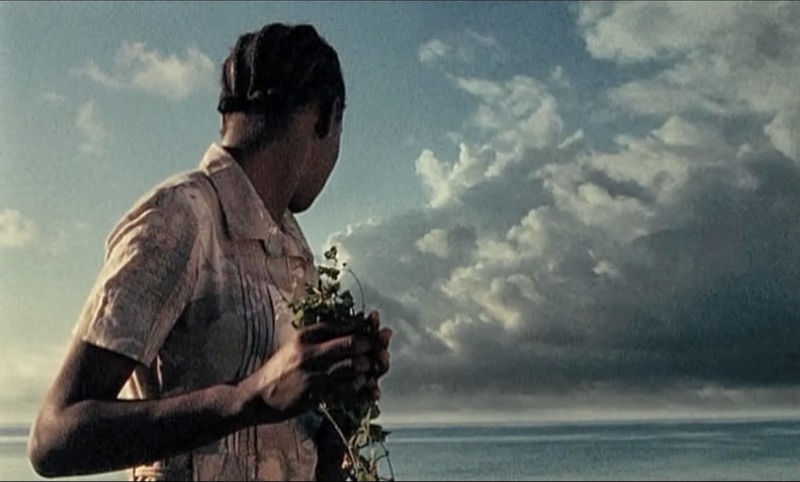 When her guardian dies, she takes a boat to Nassau to live with her mother, a prostitute with a drug addiction, gambling problem and HIV infection. They live in a rundown slum called The Graveyard, named for its reputation as an inescapable hellhole. Rain is, unsurprisingly, scared and lonely, trying to connect with her mother, adjust to formal schooling and make friends. Things start to improve when she finds a school teacher who takes a shine to her and develops her natural talent for cross-country running, offering her a shot at a scholarship and a better life. Meanwhile, her mother’s bitter self-destructiveness and emotional defenses thaw, giving her a reason to clean up her life or at least make the attempt. Although Rain premise takes the form of a conventional underdog melodrama (of a type I tend to avoid), it overcomes its dependency on clichés by staying honest and keeping the crux of the story on the rocky mother-daughter relationship. The mother’s performance is wonderfully real and nuanced. It’s a stubborn last stand against acknowledging that she’s spiraling towards rock bottom; full of pride for her small sphere of independence, undigested anger for herself, her mother and her situation, and a natural but half-atrophied capacity for trust, joy and maternity. The coach-pupil plot fares less well, since the coach, for the sake of the narrative, behaves as though she has no other students and no personal life, tirelessly dedicating herself to Rain without ever dropping her gentle smile. There’s no real insight into the sport, but it doesn’t really matter since it’s just a placeholder. Most will find that the emotional core and the performances are what matter most and those hold up. I particularly liked a few of the minor characters, like the best friend, who is vain and brazen but a good pal, and a crazy homeless preacher whose creepiness comes from the contrast between his obviously sick intentions and the righteous babble he spouts.